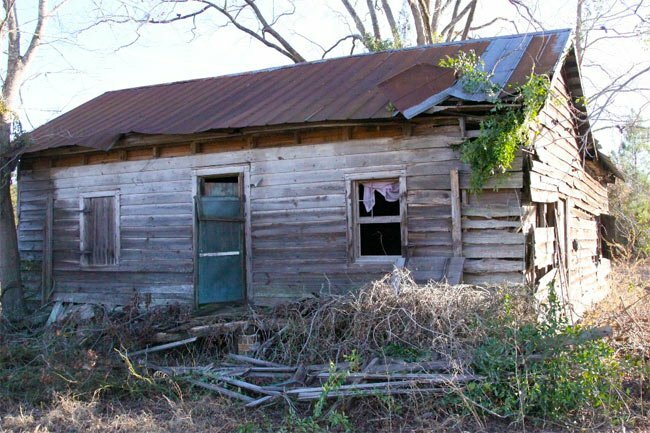 The Florence County town of Mars Bluff is home to the one remaining cabin from the Reconstruction-era African-American settlement known as Jamestown. The community was founded in 1870 by former slave Irvin James, who purchased 246 acres in the Pee Dee region for his descendants. His desire was for his current and future family members to be able to live independently, free of debt to or ownership by another man. The land was divided into 22 units which each included a wooden cabin, such as the one pictured above, and enough land for a garden and some livestock. More than 300 James descendants were born and raised on the settlement before moving on to other parts of the country to find work with higher wages and better treatment. Each year James descendants gather in Florence to celebrate their history and teach the younger generation the significance of the settlement to their lives. The reunion is a public event that includes three days of activities related to the settlement’s past, such as quilt making and corn husking. Organizers feel it is important for everyone in the community to understand and remember this way of life. 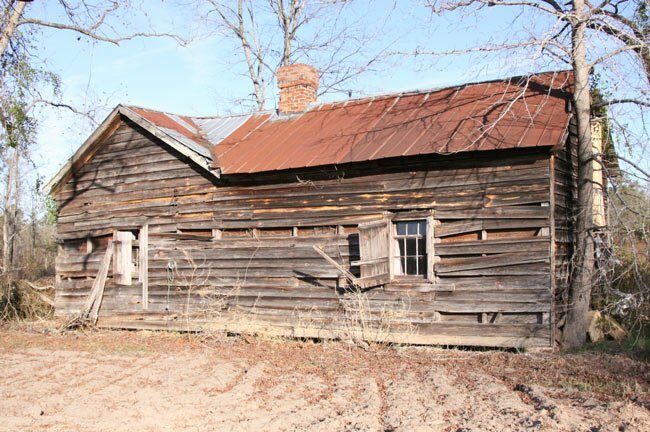 In order to continue this effort, Terry James and others have begun a movement to raise funds to restore and preserve the remaining Jamestown cabin. James is compiling a recipe book of African American dishes and folk remedies that were followed in the late nineteenth and early twentieth century. He hopes that proceeds from the sale of the book will help the preservation effort as well as educate people on the culture within the settlement. The land surrounding the cabin is now mostly used for logging. We do not see it listed on the South Carolina Department of Archives and History website. We certainly agree that it meets the requirements but the owners of the property would have to fill out the proper nomination forms for it to be considered for the National Register. Hopefully they will! Is the site on National Register? I’m sure this cabin meets the requirements. Will the festival be held this year? I’d like to bring my grandchildren and purchase the recipe book. This is great history needs to be taught in school, show our children their true history, not what others say about us. So interesting! Please share how we could purchase the recipe and remedy book when it becomes available.